Wolterton Park: an historic Georgian Estate with beautifully restored properties to rent. Wolterton Hall is one of the four grand power houses of Norfolk, having been built by Horatio, brother of Britain’s first Prime Minister, Robert Walpole. 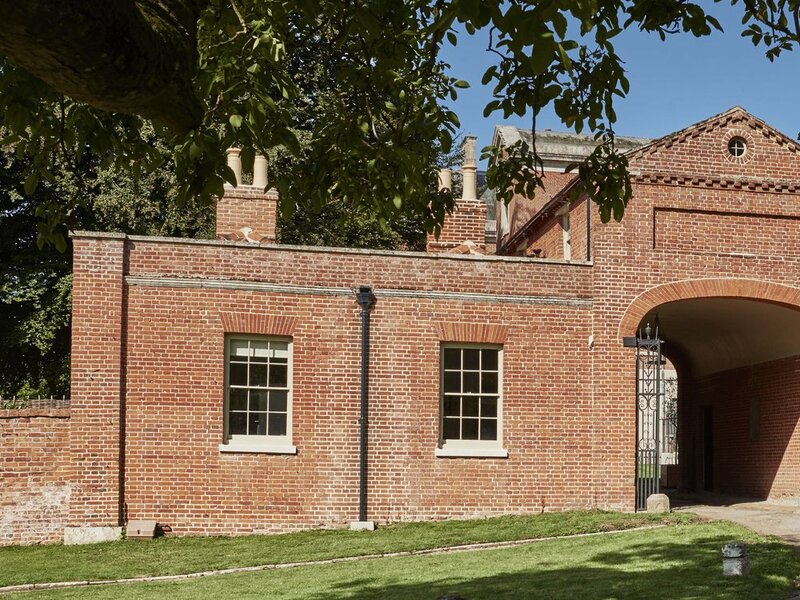 Set in a 150 acre park created originally by the great landscape gardener Charles Bridgeman for Horatio Walpole. The park is gradually being returned to a natural landscape with an ecology hardly touched since it was last occupied thirty years ago. It is a tranquil, natural place with a large lake which has hardly been disturbed in the last few decades and is for exclusive use of guests staying at Wolterton. The park is set in a 500 acre estate which is grazed by the sheep of Gareth and Jo. The new owners have set about restoring the Grade I listed buildings fit for the 21st century but using traditional materials required by their listed status. Currently there are four properties which have been completely restored: The grand East Wing with views over the Lake, The East Lodge and Treasury which span the entry to the park and the delightful Garden House with views over the walled gardens. All have private outside space. All the properties have full central heating, atmospheric lighting and handmade kitchens and luxurious bathrooms with underfloor heating and Hans Grohe rain showers. The rooms are furnished with period furniture, televisions. Colefax and Fowler and Malabar fabrics with floors of oak, marble and mosaic. The East Wing is the perfect place for a gathering with family and friends. With 7 bedrooms and 5 bathrooms, this beautiful home has stunning views towards the lake. The house has a spacious Drawing Room and Dining Room and well equipped kitchen. Private garden. The elegant Garden House has tall ceilings and large windows. It is adjacent to the main walled garden but has a private one of its own. It has a grand master bedroom and classical bathroom and 2 further bedrooms with ensuite shower-rooms, painted kitchen/dining room, and a comfortable sitting room with open fire. The Steward’s House is a 3 three bedroom and 3 bathroom cottage on two floors. On the ground floor there is a well equipped solid oak handmade kitchen and dining area which leads on to a private courtyard garden. It has a superb master bedroom and bathroom which also leads on to the courtyard garden.